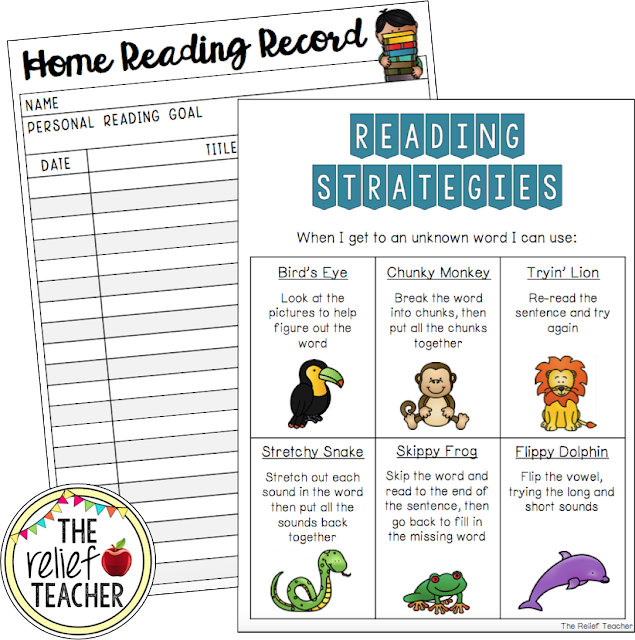 If you're a K-2 teacher, chances are you use some form of a 'home reading record' to help students record and track their reading at home. I've used quite a few different templates throughout my career I've but never really loved any of them. With a little extra time up my sleeve during the holidays I decided to finally make my own! What I like about my version is the space for students to record their personal reading goal. This allows for both transparency and consistency between school and home. Also, this product goes perfectly with my K-2 *Bump it Up Wall* Reading AND Comprehension Pack as both products allow for meaningful goal setting and foster self-reflection and independence in reading.